Later this year, Black Widow‘s solo film will finally begin production. In the meantime, Marvel Studios has added another cast member to its ever growing lineup. 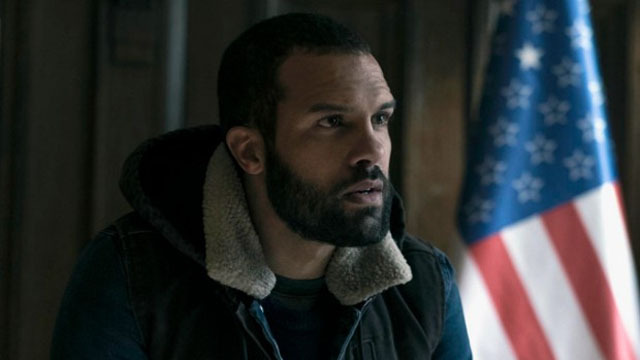 Via Deadline, O-T Fagbenle has been cast in a leading role opposite Scarlett Johansson’s titular spy and assassin, Natasha Romanoff. Details about Fagbenle’s role are currently under wraps. The British actor is best known for his role as Luke Bankole on Hulu’s The Handmaid’s Tale. He has also guest starred in Doctor Who, and headlined HBO’s Looking, The Interceptor, and The Five. Fagbenle and Johansson will be joined by David Harbour, Florence Pugh, and Rachel Weisz. However, Marvel has yet to reveal the roles of any of its cast members beyond Johansson. Black Widow is rumored to be an origin story for Natasha. Prior to her first MCU appearance in Iron Man 2, Natasha was originally an assassin/spy trained in the KGB’s Red Room program. However, she ultimately turned on her country and defected to S.H.I.E.L.D. before forming a close bond with Hawkeye. Thus far, there’s no indication that Jeremy Renner will reprise his role as Hawkeye for this film. Cate Shortland is directing Black Widow from a script written by Ned Benson, Jac Schaeffer wrote the previous draft. Marvel hasn’t set a release date for the film yet, but it will likely hit theaters in either May 2020 or November 2020. Are you excited to see O-T Fagbenle join Black Widow? Which character should he play? Let us know in the comment section below!